Give Your Home a Facelift with Wholesale Direct Carports of Florida! One of the best ways to add curb appeal to your home is to give your home a makeover. There are several ways to this, such as landscaping, adding a front porch, or painting your house. The biggest, solid section of the curb-facing part of your house, is typically your garage door. 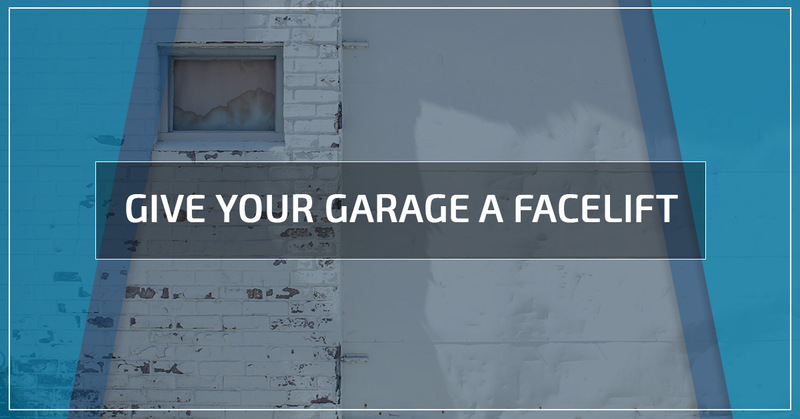 The easiest way to add curb appeal to your home is by giving your garage a proper facelift. Here are some ideas on how to beautify your garage. If your garage has windows, especially on the door, replacing the glass can add that special touch.If you have a detached metal garage, adding windows can be a fairly easy task. Windows on your garage can be beautiful and functional. If you invest in some tempered, etched, or stained glass, it can immediately add an artistic touch. Regardless of what kind of glass you use, adding or replacing existing windows helps to provide light to the inside of your garage. It is common for garage doors to come in neutral colors. Because garage doors are mass-produced, neutral colors are easier to sell to big vendors. To give a splash of color to your home, paint your garage door. If you have a detached garage, painting the door to match the trim on your home can help the garage look like an extension of your house. If you are an artist (or know one), painting a mural on your garage door can make your house a point of interest in the neighborhood! If you want to completely revamp the look of your garage— replace it! 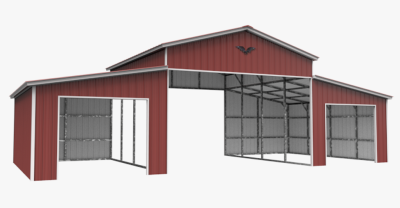 The new rage in garage door design are barn style garage doors that open like gigantic, fancy french doors. Adding these doors to your garage can add a country chic element to your home. Don’t worry, they come fully automatic as well! 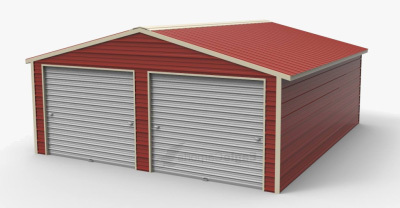 Other options include wooden overhead doors and super modern shiny metal doors. 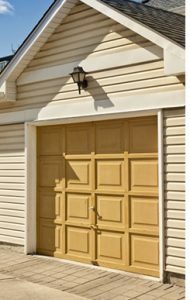 Simply replacing your dented standard garage door with a new one, can create a polished look. If you don’t use your garage for car storage, you can wall it in with brick or rock. All you have to do is place them over the door and you can create the illusion of a bigger house. Whether you are looking to add aesthetic upgrades to our home for sale or you feel like your house is the frumpiest in the neighborhood, give your home a facelift by updating your garage door or adding a custom garage to your property! 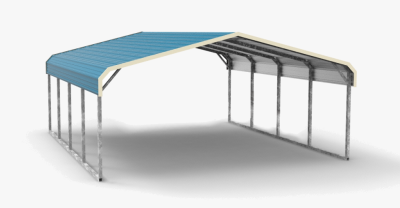 Let Wholesale Direct Carports of Florida help, call us today!